Mario dons his flying Tanooki suit! Fly, Mario, fly! Straight out of the Super Mario Bros. 3 and Super Mario 3D Land video games, comes the Super Mario Plush Series Tanooki Mario 11-Inch Plush. In Super Mario Bros. 3, Mario picks up the Tanooki suit so that he can fly and turn into stone. 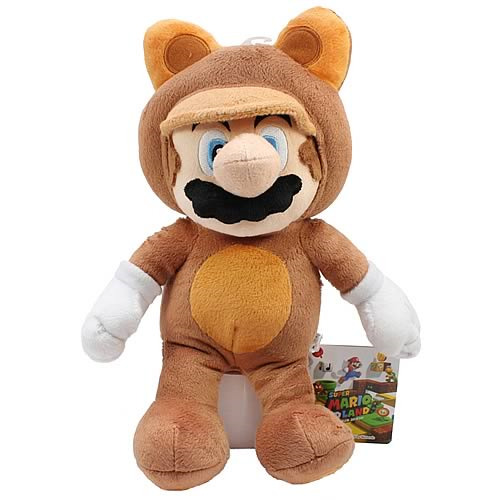 Now you can own Mario wearing his Tanooki suit in excellent 12-inch plush form! Ages 6 and up.